Funkadelic forcefully declared the power of Funk with its 1978 classic One Nation Under a Groove, defining a sound that influence pop, hip-hop, and R&B for years to come. 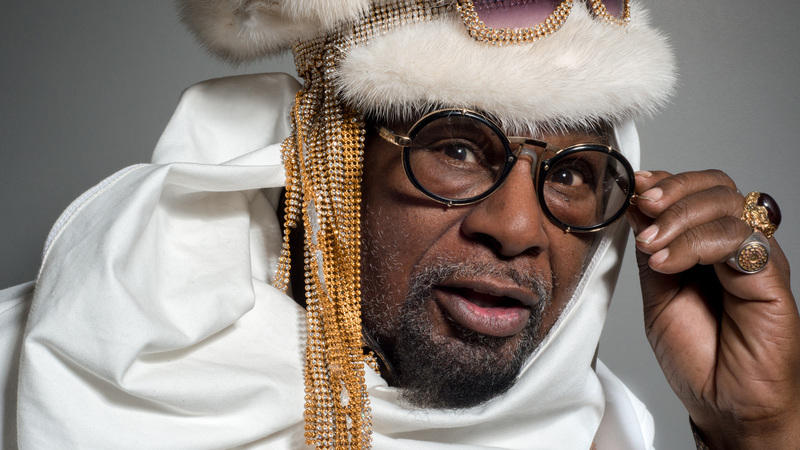 George Clinton and the sprawling crew of interstellar travelers that comprise Parliament-Funkadelic visit NYC for the final time on a nationwide tour in which they have been playing the album in full. They’re supported by musical descendants of different branches; So-Cal ska-punk pioneers Fishbone, and the sprawling funk ensembles Galactic—known for their raucous collaborations with N.O. mainstays Juvenile, Big Freedia, and Trombone Shorty—and Dumpstaphunk, led by Aaron Neville’s son Ivan. *Capital One® Cardholder Presale Tickets Information: When visiting the ticketing website, use the first 6 digits of your Capital One card number to gain entry to the Capital One Cardholder Presale. You must use an eligible Capital One Visa or Mastercard credit or debit card to purchase pre-sale tickets during the Capital One Cardholder Presale window. Excludes Capital One issued private label cards. Supplies are limited. Capital One Cardholder Presale tickets will be available as of February 12 at 10 a.m. ET until February 13 at 10 p.m. ET or until they are sold out.